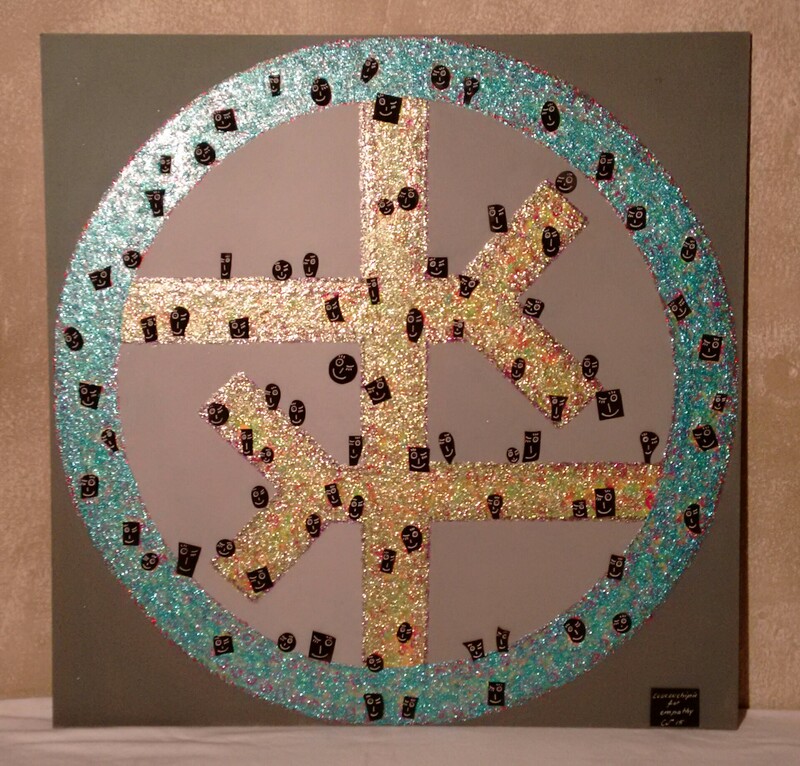 What Does The Empathy Symbol Stand For? The Empathy Symbol stands for 2 “sides” reaching out to each other, and opening up to try to truly understand the other’s experiences and feelings. It could be 2 groups of people: men and women, blacks and whites, Jews and Muslims, fundamentalist Christians and atheists, Israelis and Palestinians, gays and straights, old and young, able-bodied and disabled, immigrants and native-born, and so on; or it could be 2 individuals: spouses, neighbors, co-workers, etc. People have asked about the origins of the empathy symbol. I was a college student, active in the anti-Vietnam war movement. Actor Alan Alda, star of the TV series “M*A*S*H, as well as host of the award-winning series Scientific American Frontiers, also turns out to be an author who is interested in how people can communicate with one another more effectively–and especially, how empathy contributes to meaningful and effective communication and connections between human beings. He realized, several years ago, that scientists and doctors often have difficulty communicating with their audience, whether that means an auditorium, or a single patient. He started the Alan Alda Center for Communicating Science at Stony Brook University. 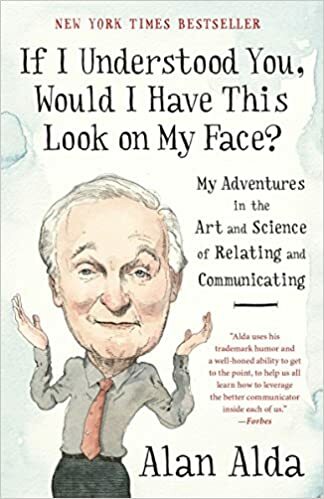 Alan Alda clearly has a fascination with all things scientific and all things human, and so he takes us on the journey with him as he explored how meaningful communication and empathy develop and can be increased. He shares some surprises with the readers–such as the value of improv! He talks about a camp for teenagers on the autism spectrum, and how doing improv exercises helped them. Improv forces people to pay close attention to the other person, reading their faces, listening to the emotions they are conveying, and paying real attention to what they say and do. Simple improv exercises, such as mirroring another person wordlessly, are highly effective. In fact, once the person who developed this program realized how much it was helping the kids on the autism spectrum, he and his colleagues published a rigorous study that measured their improvement in empathy, showing significant results. There is now a program called Spotlight, using these improv techniques, which serves over 350 kids in Boston every year. This highly readable book ranges far and wide, with many interesting stories (in fact, there’s a chapter called stories, where he shows how we connect with one another via our own stories, sharing them and listening to others.) After you read this book, you will put Alan Alda on your list of people you’d most like to have dinner with. And if you did have dinner with him, you can bet that he would listen to you closely and with true attention and empathy! See our previously featured Empathy Promoters. Help Us Spread the Value of Empathy! We will send you FREE up to five bumper stickers, eight peel-off empathy symbols, and four bookmarks. Let us know which items you want, and your address. Join the conversation on the Empathy Symbol Facebook Page! Check out our Facebook page, and Follow and join the conversation. Posts about the value of empathy in our polarized world; how to promote empathy; and especially posts to further our own empathy toward, and understanding of, others. 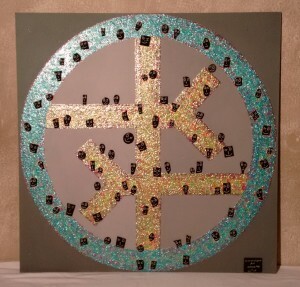 A German artist named Caro created this piece of art using the empathy symbol. Others are incorporating the empathy symbol into their logos (with our permission obtained.) We are looking for artists and craftspeople to help spread the value of empathy via items they create–jewelry, mugs, phone case covers… Please see below for how to obtain our permission to do so, under the Creative Commons License.